Welcome to another linkup with the ladies from The Well (you can check out past linkups here)! 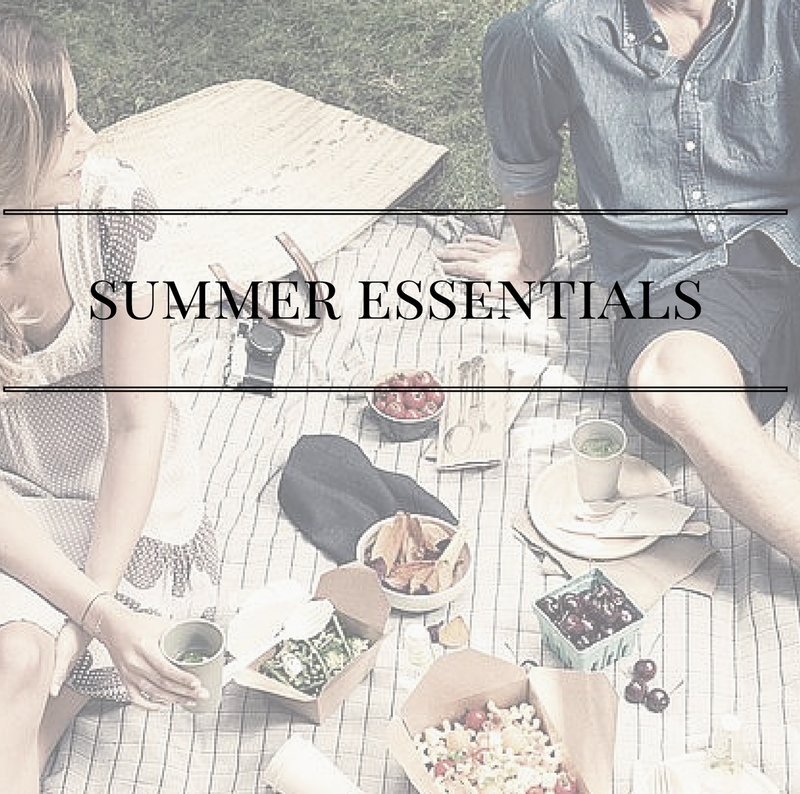 This month's question is What are your summer essentials? As the women from The Well described it, this is a fun, easy breezy prompt for June which I think is needed. Sometimes I tend to get a bit serious over here and we need some fun to lighten up! Frankly, I'm not a huge fan of summer. I get awful reactions to bug bites and am constantly trying to find a piece of shade, for my complexion don't ya know. Plus, I love school so when I am not in class it is terribly upsetting. I'm strange, I know. So what do I rely on to make summer slightly more bearable? A picnic basket. I LOVE picnics! There is nothing better than going to a park or a lake and spending hours talking and laughing and eating picnic food. It is absolutely the best. Sunscreen and hats. For the aforementioned complexion. Sundresses. Basically my summer uniform. Books. This goes for every season really, but especially during the summer when there is more time. I set a yearly reading goal and the summer is when I am able to get ahead. The perfect summer playlist. Mine includes tons of Bollywood of course, but it is essential to have a playlist you can put on whenever to set the perfect mood.